These online Texas adult driver education reviews and discounts are for new drivers over the age of 18 residing in Texas. The state of Texas created adult driver education so that grown adults don’t have to meet the same requirements as high school kids. Makes sense, right? Well, Texas is pretty awesome, because they took it a step further. They not only allow you to take the “classroom” portion of your drivers ed course online but when you sign up for a state certified online Texas adult driver education course, you can get it done in a fraction of the time it takes high school students. Part of the problem when trying to find an online drivers ed course is the sheer number of them. There are so many, and while there are a few obvious schools to stay away from, most of them look just as good as the next one. Since adult driver education courses aren’t exactly talked about much, you have no idea who is reputable or not. I’m here to help! As a certified driving instructor and co-creator of the world’s most popular free online CDL training program, I know what to look for and have worked behind the scenes with these online driving schools. I contacted various online driving schools and asked if they could supply me with discounts for my super awesome website visitors (that’s you!). Not only did they give me special discount links, but if you use those links, I get a few bucks for sending you over. So yeah, use my below referral links if you wanna save a few bucks as well as send a few bucks over to me as well. I’d really appreciate it! I’ve been working with online drivers ed courses since 2009 and have taken all of the below courses myself. In fact, I take these online drivers ed courses every year since they are constantly being updated. These online Texas adult drivers ed course reviews have been updated as of 2019. Has much really changed since last year? Yup! In fact, my rankings are totally different now! As courses get updated and compete with each other, sometimes I have to redo these lists. So without further delay, here are the best online drivers ed courses for adults that you can take in Texas. Aceable is one of the newer online drivers ed courses available in Texas. However, they are actually a Texas-based company with their headquarters in Austin. About 3 years ago this start-up company saw a void in the adult drivers ed field that needed to be filled, so they raised about $4,000,000 and created the single best online drivers ed program ever created. Honestly, while any of the courses I recommend will work just fine, this is the one I’d personally choose. What I really like about Aceable is how well this course works on smartphones and tablets. You’d think any online drivers ed course these days would work well on mobile devices, but Aceable is one of the few where it seems to work really well. They also have interactive videos, games, and even 360-degree videos to help you learn the material. It is the most technically advanced drivers ed course online by far. In addition to having the highest rated adult drivers ed course in Texas, they also provide excellent customer service. As a startup company with lots of venture capital, these guys are hungry to succeed. In doing so, they have truly raised the bar. Check out their website and compare them to the rest. It’s obvious they are of a different caliber but charge the same price. If you’d like more info, check out my full Aceable review. 2019 Update: Aceable has always been my top recommended Texas adult driver education course ever since they first launched and that isn’t changing in 2019. Even though they were already the best, they continued to make further updates and improvements to their already great course. If I have to give just one recommendation for Texas adult drivers ed in 2019, Aceable is without a doubt who I would recommend without hesitation. It remains the most modern, updated, and high-quality course available for adult drivers. 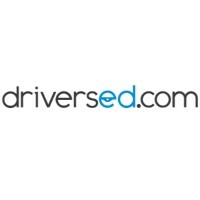 DriversEd.com is perhaps the longest running online adult drivers ed course in Texas. They’ve actually been offering home study drivers ed courses since before you could even do it on the internet (they offered VHS tapes and booklets through the mail instead). Since they’ve been around for so long, they have had literally millions of people take their course. I believe this is also the single most popular online drivers ed course for adults in Texas. 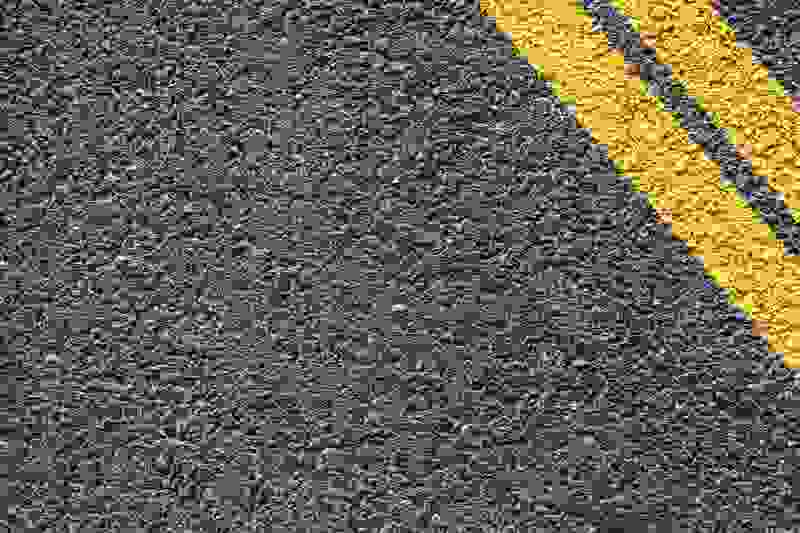 There are a couple of things that make DriversEd.com unique. First, they also offer behind-the-wheel driver training with their own driving instructors and drivers ed cars. Now, as an adult, you actually are not required to take behind-the-wheel driving lessons, but many adult drivers ed students choose to get some driving instruction hours in by choice. That is completely up to you, but if you do want to get signed up with a driving instructor, you can likely get a better deal with DriversEd.com by getting a package deal. The other thing I like about DriversEd.com are the interactive 3D videos. In those videos, you will be presented with a certain driving scenario and you will need to make a decision about what to do. This is a pretty cool interactive feature that really doesn’t exist with other online driving schools. You can see my full comparison of DriversEd.com and Aceable here. 2019 Update: There haven’t been too many changes to DriversEd.com over the past year, but that’s not necessarily a bad thing. They were one of the most adult drivers ed courses last year and that isn’t going to change this year. So, even though DriversEd.com is essentially the same as it was, that’s because there’s nothing to fix. It has been an industry leader since the late 1990s and that will continue throughout 2019. Driver Ed To Go is another online adult drivers ed course in Texas that has been around since the beginning of online drivers ed. They have had millions of students graduate from their various online driving courses and it remains one of the most popular courses still to this day. Another advantage of Driver Ed To Go is the price. Generally, Driver Ed To Go is one of the cheaper options for Texas adult drivers ed. That’s because Driver Ed To Go isn’t quite as flashy as the other courses I recommended. This is more of a text-based driving school with a few images and outdated videos mixed in, but if you’re looking for a cost effective option that still meats Texas state requirements for adult drivers ed, this is worth considering. I also recommend Driver Ed To Go for those that have a slower internet connection. As someone who was forced to live with satellite internet for a few years, I am well aware there are still those of you out there that have slower internet connections. If that’s you, then Driver Ed To Go is an especially good one to check out as it will work well with slow internet connections. 2019 Update: I decided to move Driver Ed To Go up on my list of the best online adult drivers ed courses in Texas for 2019. Over the past year, Driver Ed To Go has made some significant improvements to the course content as well as the user platform. There are more videos, more interactive features, and I feel like this course actually got easier over the past year. Driver Ed To Go also works much better on mobile devices this year. Even with all these updates and changes, Driver Ed To Go remains one of the cheapeast online adult drivers ed classes in Texas, making this a great option this year. If you want to get a high quality course for a cheap price, Driver Ed To Go should be a top consideration. iDriveSafely is pretty good for a few reasons is one of my top picks simply due to its overall quality, customer support, and solid business history (they’ve practically been around since the beginning of online driving courses). As you’d expect with any online driving course, you can take the course on your own time and at your own pace. They keep track of all your progress. One of the things that really sets them apart, though, is that you can sign up for the video course instead of a text-based course. That means you can hit the play button, grab your Cheetos, and take all of your required “classroom time” in the comfort of your own home wearing whatever it is that you want to wear (or not wear – but that’s for a different website). Don’t worry, I checked out all the obvious stuff like making sure they have secure payment options and checking their rating with the Better Business Bureau (they get an A+ by the way). It’s a solid company. They even offer 24/7 customer support via chat, email, or phone, so you’re in good shape. One of the things that I really like about iDriveSafely is the cast of cartoon characters they have. By the end of your course, you will actually be sad to say goodbye! This is truly an entertaining course and is easy to get through with your animated friends. You can see my full review of iDriveSafely here. 2019 Update: iDriveSafely didn’t see too many changes over the past year, but they did upgrade some of their backend features. For example, they improved mobile device functionality and also made positive changes to their “identity verification system”. That system is required for all online adult drivers ed courses in Texas so that they know YOU are really the one taking the course. The old system that iDriveSafely used was prone to being glitchy, but they completely changed it so that it no longer causes problems. iDriveSafely remains one of the best online adult drivers ed courses in Texas for 2019. I’m just one guy and I can only review so many of these driving schools until my eyeballs fall out, so four choices is about the best I can do at this point. Admittedly, I haven’t reviewed and researched all of the other online adult drivers ed courses in Texas, but these are some of the ones that you are likely to find during a basic search. This looks like a decent course and the company that operates the school has an A+ rating with the Better Business Bureau. While I have not taken this course personally, I don’t see anything on the surface you’d need to be concerned about. This is another school to consider and is probably just as good as my recommended options above. While this course is probably fine, this is an excellent example of a 3rd party reseller. While on the surface, this may look like a company that operates their own online adult drivers ed courses, they are actually only a reseller for another company. This in itself is not a bad thing. Basically, an advertising company will go out and create websites that automatically link back or sign you up for a 3rd party school. In turn, they send business to a legitimate online traffic school and they collect a small commission. However, signing up through a 3rd party website does not exactly provide you with any benefits. This is a unique course because it is not owned by a corporation, rather, it is owned by a husband and wife team. Some of you may see this as a good thing and some may see it as a bad thing. On the positive side, you are supporting a locally owned business and generally, small business owners have much more passion for the product or service they release. However, they may not be able to offer as high quality customer service and may not have the funds to pay top notch programmers to keep their site running as well as their corporate competitors. I haven’t taken this course personally, so if you take the course, let us know how it went in the comments section below. Are You Too Old To Take Drivers Ed? Well aren’t you demanding?! The ones I listed should give you a good jump start. There are plenty of other courses out there, but those are the ones you’ll likely see if you do a Google search or whatever. Just stick with one of my recommended courses and you’ll be ready to get that license in about 6 hours. In short, taking an online adult drivers ed course will be very similar to what teenagers go through, only the course is a bit more accelerated. In the teen drivers ed courses, they cover everything from proper decision making to how to handle peer pressure and some other basics that adults generally don’t need. That’s why the condensed course was created. What Happens If I Fail My Adult Drivers Ed Course? Don’t worry too much about that. Honestly, a very tiny fraction of people actually fail the final exam. If you do fail, you have a chance to retake it. Upon subsequent failures, you may need to retake the course or go through some additional training before you can try again. But again, hardly anyone fails the final exam with online adult drivers ed. In addition, if you go with a course like this one, as long as you pass the final exam through the online course, you will not need to take a final exam at the driver’s license facility! How Do I Know If Online Adult Drivers Ed Is Best For Me? While the majority of people would definitely benefit and enjoy online adult drivers ed more than a classroom-based course, the online courses aren’t for everyone. For example, taking an online course does require some self-discipline. If you need a set schedule in order to get you motivated, a classroom-based drivers ed course might be better. Also remember that with an online course, you’re mostly on your own. Through these courses, you will not be given a personal tutor or instructor. All the learning must be done independently. Nobody knows you more than you do. So hey, if you want to sign up for a classroom-based adult drivers ed course there’s absolutely nothing wrong with that. However, for most of us, online-based courses save time, money, headaches and we enjoy learning in a private, clothing optional location in our own homes! Is Online Adult Drivers Ed More Effective? That largely comes down to you as an individual (see the above paragraph). However, for most new adult drivers, learning through an online adult drivers ed course is a fantastic option and may even make you safer than if you took an offline course. While you may not have a personal instructor lecturing and answering questions, you do have the option of rewinding, going back over parts you didn’t understand, it’s interactive, and you can do it on your own time. Get bored? Log out and log back in when you’re ready to learn more. Hungry? Pause the course and go make a sandwich. Learning online and from your own home really does give you a lot of freedom to learn when it’s convenient for you. I hope you found this information helpful and if you have any questions, please don’t hesitate to ask in the comments section below. Good luck and drive safely!! Looking for teen drivers ed course reviews?